FiltaPave is a sustainable porous pavement which captures and filters polluted runoff and can store water for non-potable uses. 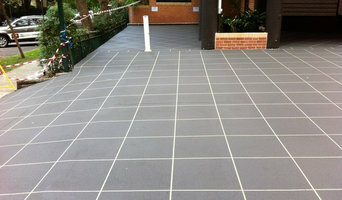 Typical applications include driveways and car parks, footpaths, patios, pool surrounds and tree bases. FiltaPave has an excellent non-slip surface and prevents ponding. MR Concreting provides quality concreting services in Australia. We have a team of licenced concreters in Sydney, who have completed hundreds of concreting and excavation projects. MR Concreting has more than 30 years of industry experience in providing excavation solutions and concreting services throughout Sydney area, including Northern Sydney, The Hills, Blacktown, Parramatta and lower North Shore. Whether its driveways, pathways, garage or shed slabs, MR Concreting ensures to deliver concreting works with an exceptional service. Our projects always completed on time and according to agreed specifications. We are fully licenced contractors and guarantees highest standard on all our services including: Mini Excavation Sydney - Our mini excavation services include delivery of topsoil, rock, mulch and gravel to and from the construction site. Concrete Resurfacing Sydney - We do concrete resurfacing work and repair services for homes, industrial buildings and commercial spaces. 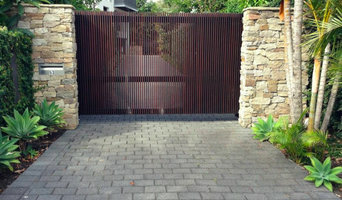 Retaining Walls Sydney - We build durable retaining walls and paving slab base for shed and patio areas. Concrete Driveways Sydney - We undertake all aspect of concrete, excavation and earthworks for commercial, industrial and residential projects. Why Choose MR Concreting? Reliable - We are committed to providing customer service and satisfaction. Our operation adhere to industry procedures and standards to ensure safety. Experienced - Our professional team are knowledgeable with all concrete work requirements. Trusted - We ensure that the project is completed on time, using the quality materials and meets client requirements. Quality - Our team of professional concreters only use quality material and work in a way to ensure that your concrete slab, drive way or walkway is made to last. 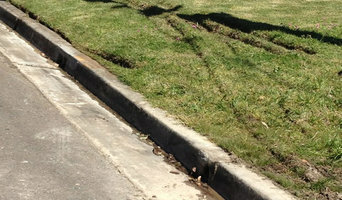 For more information about our concreting services, visit our website www.mrconcreting.com.au, or call us on 0419 480 405. Makinstone Pavers is an Australian owned and operated manufacturer of garden & pool pavers. 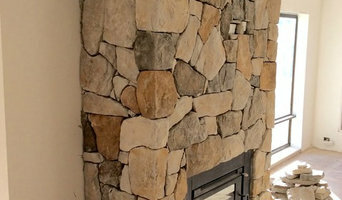 We have a range of four natural stone colours to choose from which are on display at our factory. Instant Windscreens & Tinting is Australasia’s largest independent fitting business serving customers 24 hours a day, 7 days a week. The 'Concrete Design Specialists' are a Licensed & Insured Company of Experienced Driveway Designers and Master Tradesmen who've been installing impressive, high quality driveways for happy clients in Sydney for the last 33 years. Recognized for their excellence in Superior Quality Decorative Driveways Of All Styles, colours and patterns. The Concrete Design Specialists focus on attention to detail, which is why their workmanship is superior compared to others. They take pride in providing Strong, Durable and Attractive Driveways, guaranteeing you the highest quality materials & workmanship. 'The Concrete Design Specialists' have mastered every type of Driveway there is. When you contract them to make a Driveway for you, the design possibilities are limited only by your imagination. Take a look below to get an idea of the possibilities available to you. Driveway professionals can install, replace and repair concrete driveways, asphalt driveways, exposed aggregate driveways and other paved areas in various materials. Before work begins on a new or replacement driveway or other paved area, a Normanhurst, New South Wales driveway professional will assess your property’s grade, soil and drainage. They will then help you choose from a range of poured surfaces and driveway pavers, based on your home’s style and environment. Next, they will prepare the site and operate any heavy machinery needed to build the driveway or move pavers – however, construction may not be able to happen until after other contractors have finished. Find a driveway and paving contractor on Houzz. 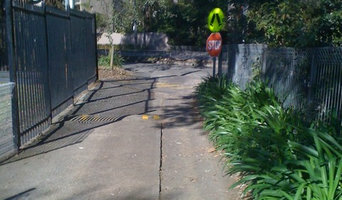 Narrow your search in the Professionals section of the website to Normanhurst, New South Wales Driveways. You may also look through Normanhurst, New South Wales photos to find examples of driveways and paving that you like, then contact the paving professional or contractor who worked on them.